The husband has been craving sushi lately and I absolutely love making it. It's like all the creative aspects of food rolled into one neat little package, so very therapeutic. Really, it is! We've done California rolls, tuna and salmon rolls, and just the other day decided that it was time for some Spam musubi. 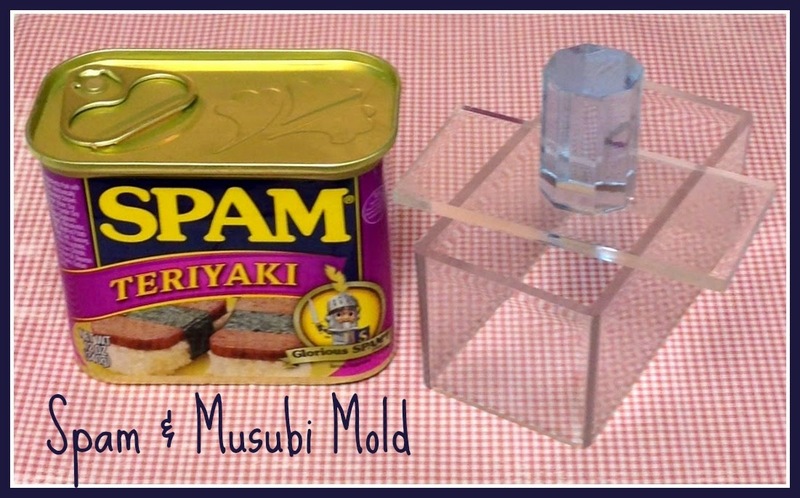 What is Spam musubi? It's sort of a Hawaiian style sushi, made with rice, nori and fried Spam, all pressed into a nice neat block and served. There are many varieties, including adding items like scrambled egg to it, but I went with just a basic version to keep things simple. How do you make it? With a musubi mold. It's a small rectangular mold that is about the shape of a piece of spam and has a press for flattening your rice and meat. Besides that rice and meat, the only ingredient left is nori. I cut my sheets in half width-wise to fit my mold. Just lay the nori flat on the counter and center your musubi mold on it. Put a good dollop of rice into the mold and use the press to flatten it. In the meantime, fry a slice of Spam till the outsides get crispy, flipping it to cook evenly. Set that on top of the rice in the mold and use your press to flatten even more. Remove the mold and wrap the nori up and over the rice. Dab your fingers with water and get the nori just a little damp and it will stick together to seal. Cut and serve! 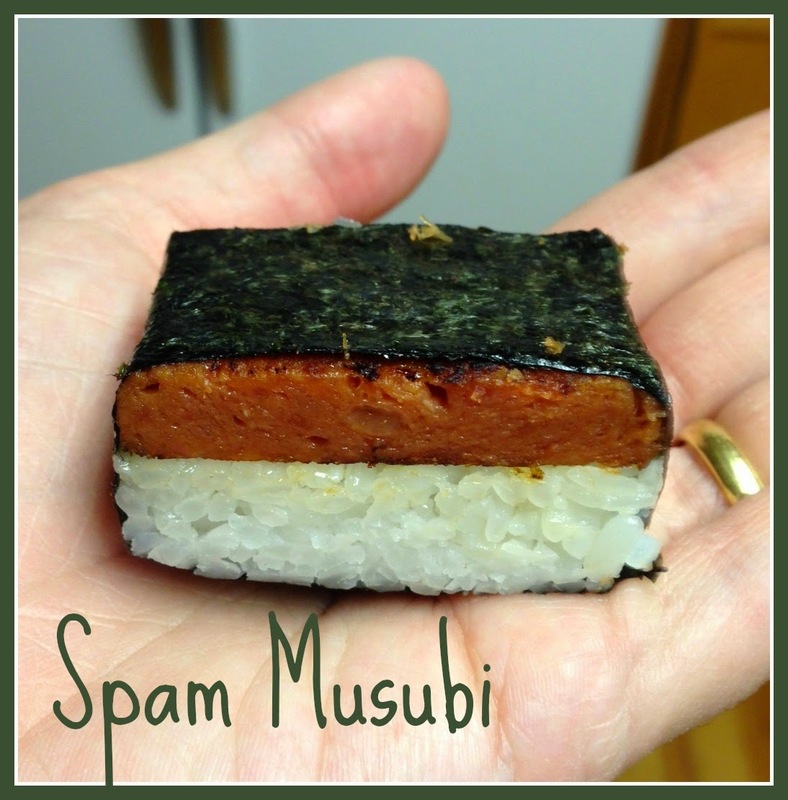 In case my directions are confusing (and they probably are), check out the much better directions for Spam Musubi on the Spam site from Hormel! Yummy! I love spam musubi! Where can I get the mold?